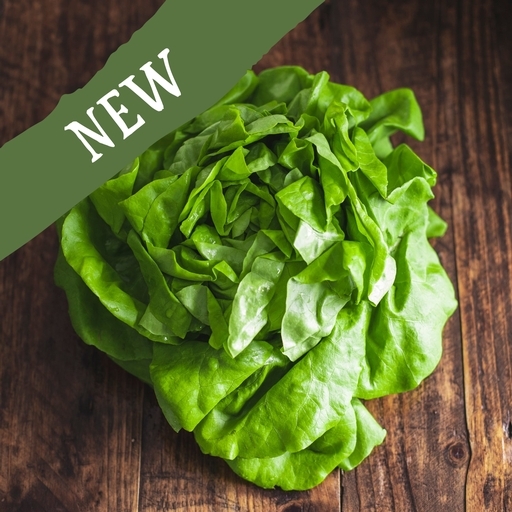 Butterhead lettuce gets its charming name from the sweet, mild flavour and tender texture of the ruffled outer leaves. Cutting into the head reveals a solid, crunchy heart – but this is still full of flavour, and needn’t go to waste. A favourite for salads, Butterhead lettuce will stand up well to most dressings. A good salad is all about balancing a variety of leaves with the right dressing. The basic ratio for a vinaigrette is 3 parts oil to 1 part vinegar. Add mustard, garlic, and salt and pepper to taste. Store in the bottom of the fridge – best eaten as fresh as possible. Whole leaves attached to the lettuce last twice as long as chopped, washed leaves. Delivered from our farm, so wash before eating. Produced in the United Kingdom and France.